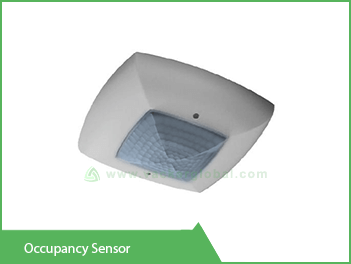 Presence sensors are mainly used for commercial and residential applications for conservation of energy. Different manufacturers have different models such as wall mounted, ceiling mounted etc. These are often confused with motion sensors, however are slightly different in operating principles. These are also part of home automation systems and can be integrated through dedicated protocols such as KNX, Modbus, Lonworks etc. Presence sensors operate if any human beings are present in the area being monitored. The term occupancy sensor is also used for the same which means that the sensor operates if the area is occupied by someone. Outdoor and indoor models are available with different ingress protection levels. The device generates a switching action of electric circuits if a presence is detected. How presence sensor based products work? Presence detectors are not detecting any movement, but only checking whether a human being or other living beings are present in the area. The presence will be detected even if the person is completely idle without any movement. The principle utilized is that every living being generates a temperature on its own body. This heat is detected by the presence detector and as long as such a presence is detected, the associated switching circuit will remain in on condition. When the presence is not detected, the circuit will be switched off. Passive Infrared sensors are the most commonly used presence detectors. 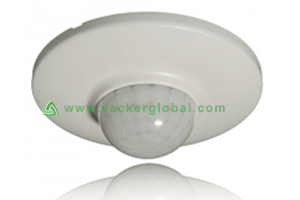 These are also known as PIR sensors. These are called passive because the device is not generating infrared rays. Instead it is detecting the heat generated by the human body. Even though the most common application is to detect human beings, it will detect any living being such as dog, cats, bird etc. and it will not be able to distinguish between any of them. 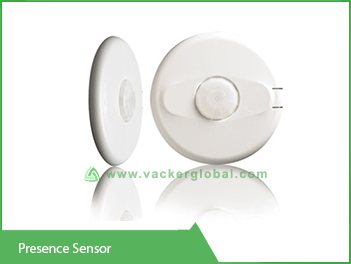 PIR sensors are combined by certain manufacturers with other sensing technologies such as ultrasonic sensors for higher precision, thus detecting a combination of motion and presence. In our separate page on motion sensors we have given an example of utilization of motion sensor in a corridor. If any person comes out into the corridor, the motion sensor will be activated and thus it’s associated lights in the corridor. However if the person stops walking and decide to stand in the corridor without any movement, the motion sensor will switch off the electric circuit after the programmed delay period because it did not detect any motion. If the person moves his hand slightly, the lights will be turned on again because a motion is detected. However if a presence detector was used instead of the motion sensor, the electric circuit will not be turned off, since it detects that a human being is standing in its range of vicinity irrespective of his movements.